The Federation of Indian Chambers of Commerce and Industry (Ficci) on Monday lauded the major achievements of the Narendra Modi-led government in its first year in power. Restoration of investor confidence, renewed impetus to business and industry and the establishment of Brand India were listed as the major achievements. 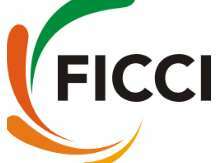 Presenting a report card on the occasion, Ficci said the government's policy direction and development road map were encouraging. It argued for further push to let private investments gain momentum.